Non-governmental organization for the promotion of the social and solidarity economy in southern Ecuador(Cuenca). - Promote the establishment and strengthening of organizations, solidary economic circuits and social and solidarity economic integration organizations. - Advise the actors of the social and solidarity economy for the formulation, execution and evaluation of projects and programs linked to the social and solidarity economy. - Provide information and training services on social and technical issues related to SSE. - Articulate actions to promote SSE with organizations and related institutions in the country and abroad. 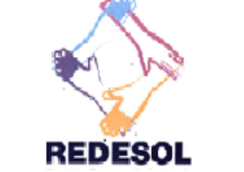 - Integration into the Social and Solidarity Economy Movement of Ecuador(MESSE) as members of the Executive Committee and Regional Facilitators.